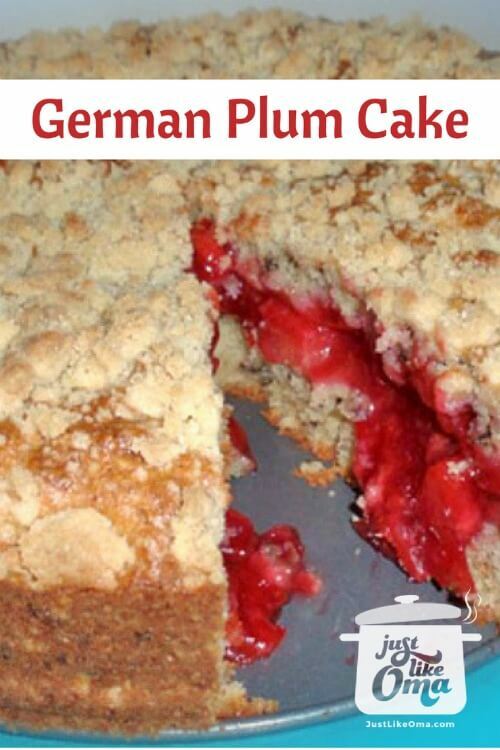 German plum cake, aka Pflaumen-Streuselkuchen! So thankful to my niece, Melissa Judd, for finding this long-lost family favorite from her Grandma (my hubby's Mutti)! Now that I've posted it, it'll be part of my traditional German baking as well :-) Melissa added that this is definitely not a quick recipe. But, it is definitely delicious! The lovely bright, rich color is because she Melissa made this with Black Doris plums when she lived in New Zealand. However, use whichever plums you have. It will be absolutely delicious! I remember having it at my mutti-in-law's out in their lovely backyard. She was such a great cook and loved baking. This plum cake was served with a dollop of whipped cream on the side ... and no leftovers! Add to a saucepan with sliced plums. Stir over medium heat until fruit thickens. Add a couple of tablespoons lemon juice if too sweet. Add some butter if too sticky. Preheat oven to 350° F. Butter a 9-inch springform pan. In another bowl combine flour and sugar. Cut in butter until crumbly. 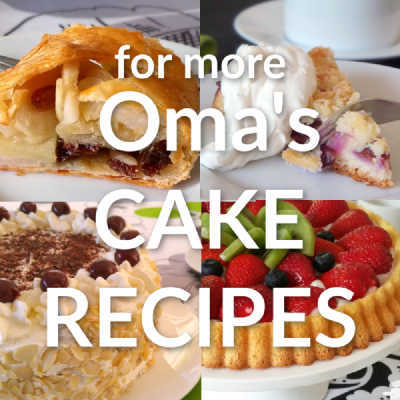 Remove ½ cup and reserve for the streusel topping. To the remainder add baking powder, baking soda, and walnuts. Add milk mixture to dry ingredients, stirring just until moistened. Spread ⅔ of batter over the bottom and part way up the sides of the pan. Spread the fruit filling over the batter. Spread the remaining batter over the fruit in small spoonfuls, using two forks to spread over the filling as well as you can. Sprinkle with the reserved streusel topping. Bake for about 50 minutes or until nicely browned. 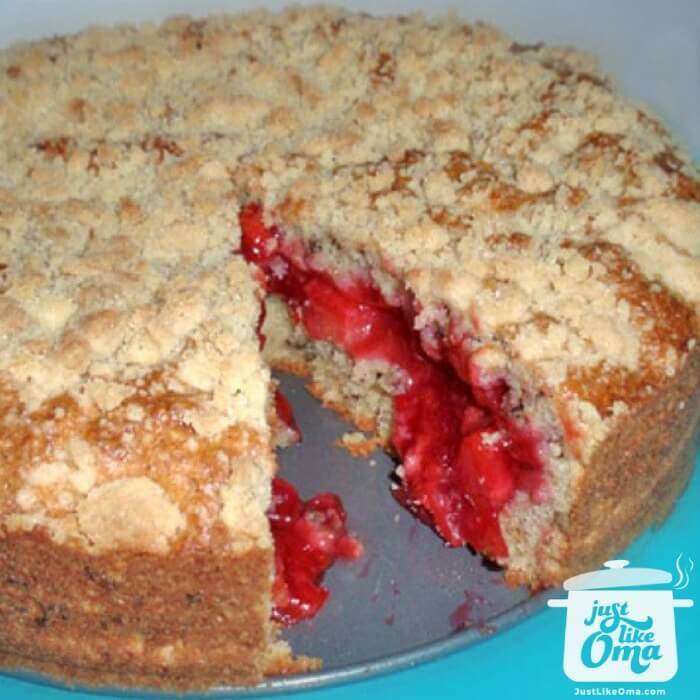 You can serve this plum cake either warm or cold. Ice cream or whipped cream on the side? WUNDERBAR! In our family, we found it so easy to separate to use both names. For my hubby's side, we called them 'Grandma and Grandpa' and on my side were 'Oma and Opa'. Now, our grandchildren do the same. It becomes easy to differentiate who they are talking about. "Pride leads to conflict; those who take advice are wise."